It’s a fact of life – happiness can be achieved through helping others. As a college student, it can sometimes be hard to find meaningful ways to benefit other people. 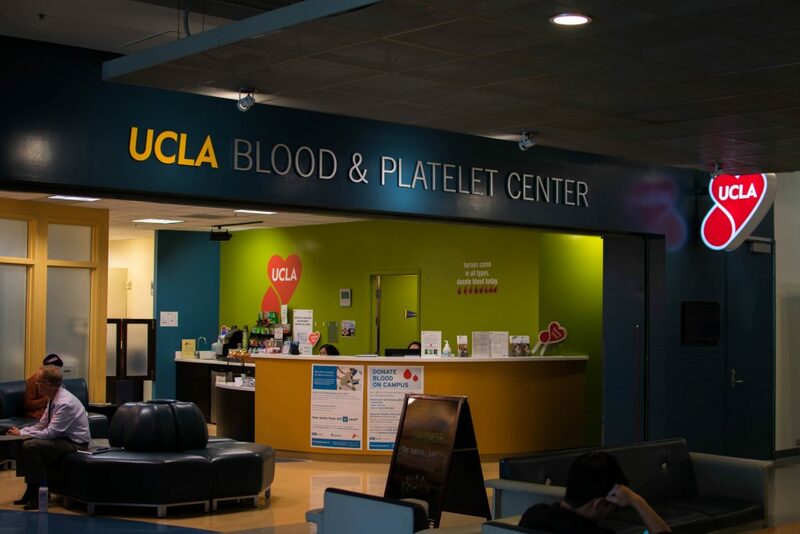 The life-saving act of giving blood has been made incredibly easy by the UCLA Blood and Platelet Center located in Ackerman Union right across from the Bookstore. It can be a little intimidating, especially for people who have never donated blood before, but ultimately it’s quick, easy, and saves people’s lives. 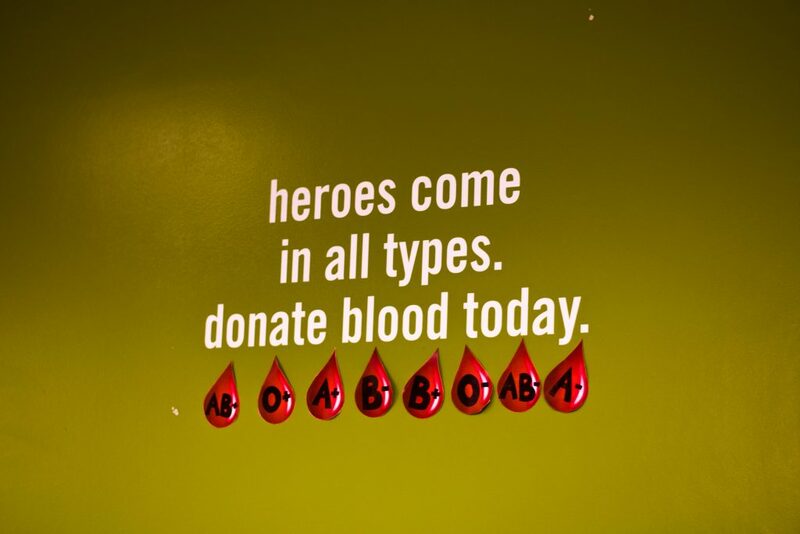 Here are five things you should know about giving blood on campus. Who can donate? Almost everyone, but there are some restrictions. Generally speaking, if you weigh more than 110 lbs and are feeling healthy, there’s a good chance you’ll be good to go, but it’s important to be sure. For the complete list of requirements, click here. Is it safe? Yes! The equipment is sterile and completely safe, so there is no chance of contracting any infection by donating. Giving blood is very easy to fit into your schedule. It takes less than 15 minutes. The Center asks you to set aside an hour, but most of that time is spent relaxing and eating snacks (that they provide, of course). 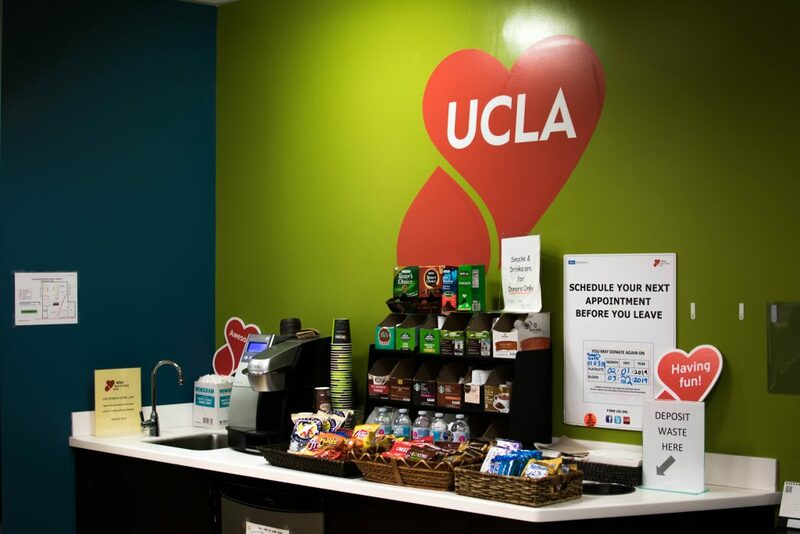 The UCLA Blood and Platelet Center does not pay people to give blood, donations are made strictly on a volunteer basis. This ensures that everyone wants to be there, and is happy to take a little time out of their day to help others. If saving lives isn’t rewarding enough in itself, however, there are some small incentives working as a nice ‘thank you’ for coming in. Movie tickets, meal vouchers, and promotional items like t-shirts and water bottles are among the list of things you could receive for your time. Does it hurt? Pain is hard to quantify, but this is a really common question. The short answer is yes, it does hurt a little bit, but it’s a small pinch that lasts about one second, NOT the entire time the blood is being donated. 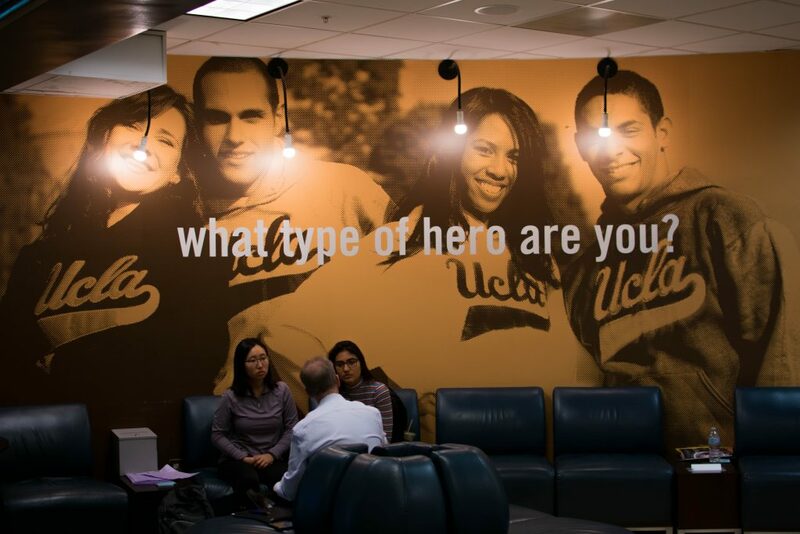 If you have the time, or are looking for ways to help others, giving blood at the UCLA Blood and Platelet Center is a great opportunity. Everyday is a great day to save lives.